I'm using the latest build, and the game crashed for me. Problem was the dump didn't have the same checksum up there. After I got a dump with the correct checksum, the crash didn't happen anymore. As best as I can tell this game plays fine, but I am seeing a small issue: In the opening cutscene to the first level, the sound effects seem to lag behind what's happening on screen. 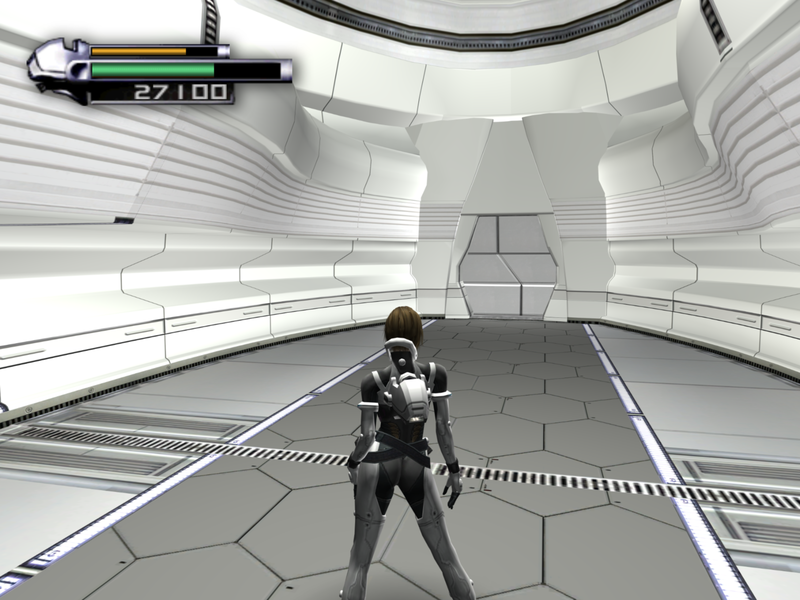 By the time the enemies appear and fire at Vanessa, the sound seems to be lagging by about a second. I'm uncertain whether the lag is constant or increasing over time (the sound effect when the caption appears right at the start of the cutscene appears synced). Does this happen on the latest 5.0 dev build? This was on 5.0-5800. It's the US version for what it's worth. I have the PAL copy to test too, but it's not ripped and it's in storage so I don't have it to hand. Both the graphics and sound are perfectly smooth and skip free, so it seems like either the animations are playing slightly too fast, or some of the audio starts playing too late or is playing slightly too slowly (it sounds fine though). I have tried using both HLE and LLE DSP emulation. Did you verify that your dump is good? Are you VPS and FPS both at 100% when these skips are happening? You can verify this by running in Windowed mode. Do the desyncs happen in 5.0 stable? If no, can you use the Dolphin bisect tool (somewhere on this forum) to find what build it starts happening in? I can post my settings if you think they're important, however, changing the backend, disabling dual core and any hacks or enhancements, using real XFB, using native resolution, disabling VSync, etc, all have zero impact; the sound is always lagging behind in the intro. This problem may have been there as long as I have played it in Dolphin, but previously I wrote it off as a side effect of shader compilation and never mentioned it (though on reflection that would have caused the audio to run ahead not behind). Posting the settings would help because we can take a look and see how you have everything setup, and can usually spot a bad setting that you may have missed. If you can, you should also include the audio settings since that's also an issue here. Have you tried the CubeB audio backend on the latest dev builds? Hi. Has the game always looked like this? There's all sorts of crazy banding going on. Edit 2: I went through the trouble of tracking down the build where this first started happening, it's 4.0-1192. Things still looked fine in 4.0-1146. Hope that helps.